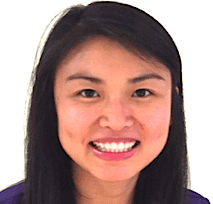 Vivian believes in the philosophy of building a foundation of trust by treating her patients as special individuals. She is dedicated to providing her patients with excellent personalised care and service to make their visits as comfortable and pleasant as possible. Vivian’s training allows her to provide extensive dental treatment for both children and adult as well as periodontal treatment and routine preventative care. She enjoys working with people of all ages and is passionate about educating patients on the importance of oral health.